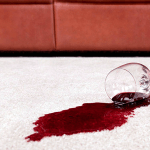 We can thoroughly deep clean and freshen your dirty rugs, leaving them revitalised and sparkling. Virtually all rugs are cleaned in our custom rug cleaning spa. As we’re going to clean it fully, and correctly, we can’t clean them as effectively if we do it in your home. 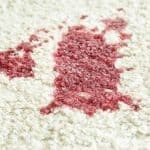 We’re one of only a handful of cleaners in the UK who have a dedicated facility to clean rugs, as opposed to ‘their garage’, which is where most carpet cleaners clean their rugs. We have over 1100sq ft of space dedicated to the proper rug cleaning, drying and storage of your rug whilst it’s in our care. We’ve invested in some of the most advanced equipment available to ensure we do the best job possible, as safely as possible. We like to have your rug for 5-7 working days, but for urgent requests can turn them around in two days. Good - efficient service. What more do we need. Have used previously. Very efficient serviceman. A perfect job. Thank you. Excellent service. My sofas and rug looked almost brand new. My rug was returned after only 4 days and was as soft as a new carpet. I wouldn't hesitae in recommending you. Excellent service, personell - everything. Saved me a fortune not having to purchase a new suite. I had a rug cleaned, I like the finish, it is just like new. I am very happy with the service and the results are amazing. Over 20 years since first time and still as good as ever. Can you improve on perfection? You are well known and I have used you previously. Well established company. Very efficient serviceman and courteous. Matthew was polite and very thorough in his work and obviously took a pride in it. Excellent service. Your service is excellent. Just to say thank you for a good job. Very satisfied.Thank you. Cleaning excellent. Very helpful - Job well done. Excellent work done. Workman great worker. Your representative was very helpful and the serviceman did an excellent job. My rugs and carpet look new. Thank you! Been satisfied before with your service. I thought the bathroom carpet would have to be replaced but Allan's team brought it up as new. I could hardly believe the dirt had all come out, also 6 rugs are immaculate. I was amazed how clean the rug was when returned. I was advised that all of the marks on my rug may not come out, but they did, well done. Excellent service - rug like new and delivered much earlier than expected. Very happy with service. Recommeded by Atkinsons Cleaners. Rugs delivered to our door by a very frendly man. Thank You! I have used you on previous occasions and I have always found your staff friendly & reliable. Very good, professional and courteous.